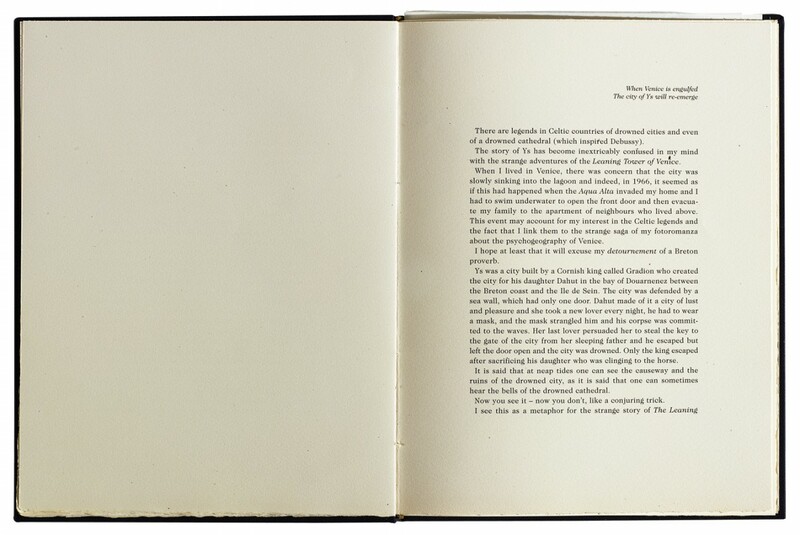 This volume contains the very first complete reproduction of a mythical work by Ralph Rumney. 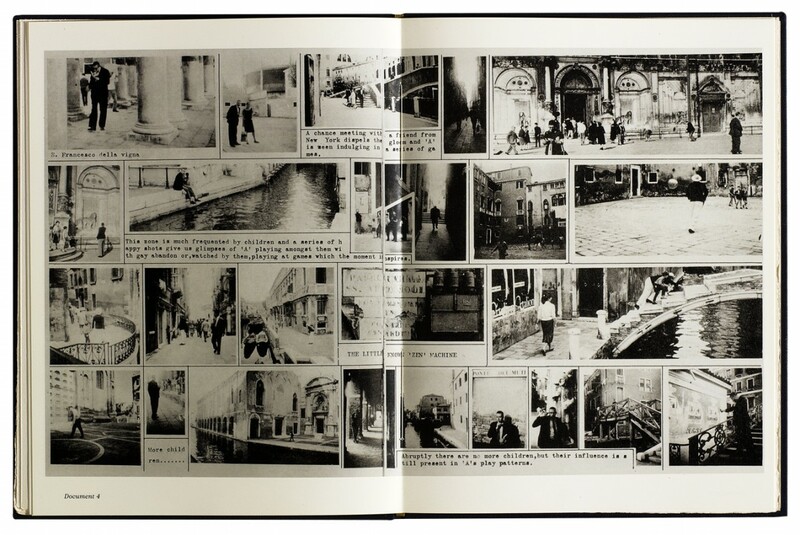 Completed in Venice in 1957, originally created for submission to the first issue of the magazine International Situationniste. 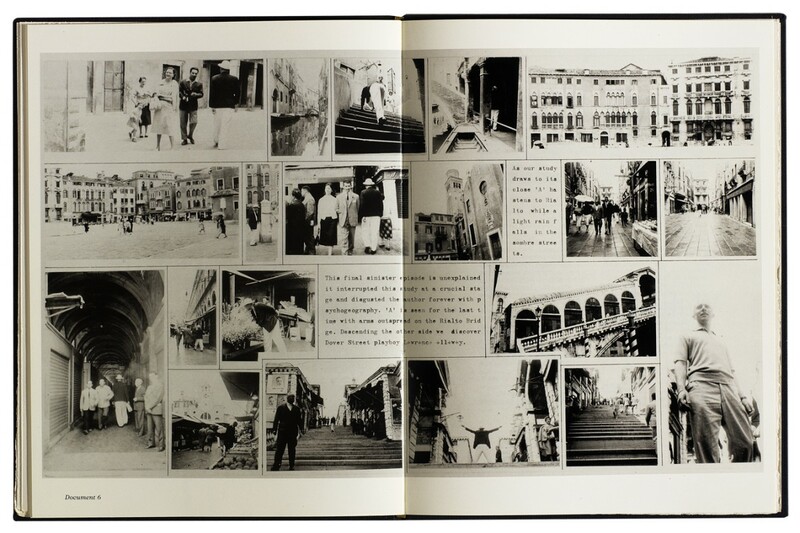 It is an investigation of the most passionate psycho-geographic zones of Venice, and follows the trajectory of a character guided by the current of shifting moods in his environment. 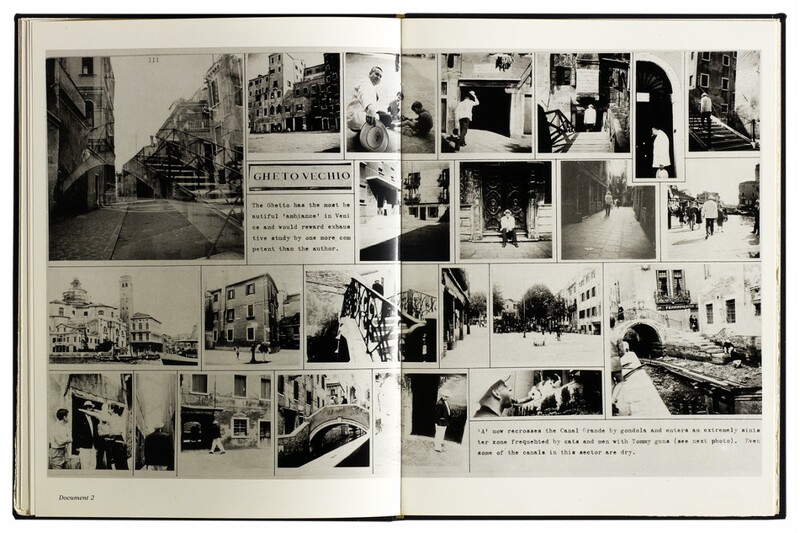 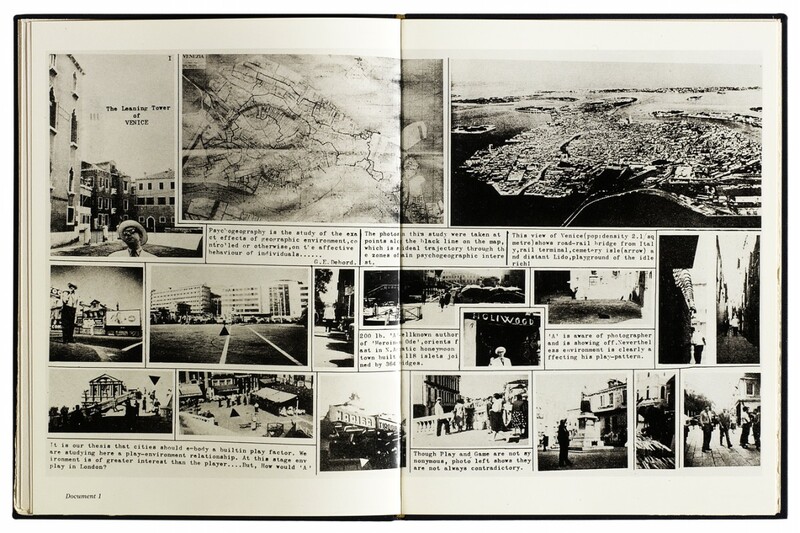 For several reasons this collage—a re-appropriation of picture stories so fashionable at the time—was never published, and disappeared from the hands of its author shortly after being made. 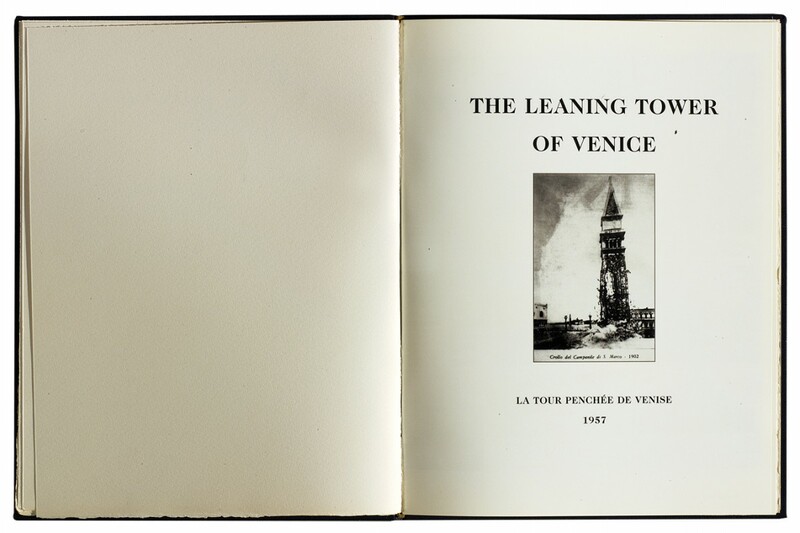 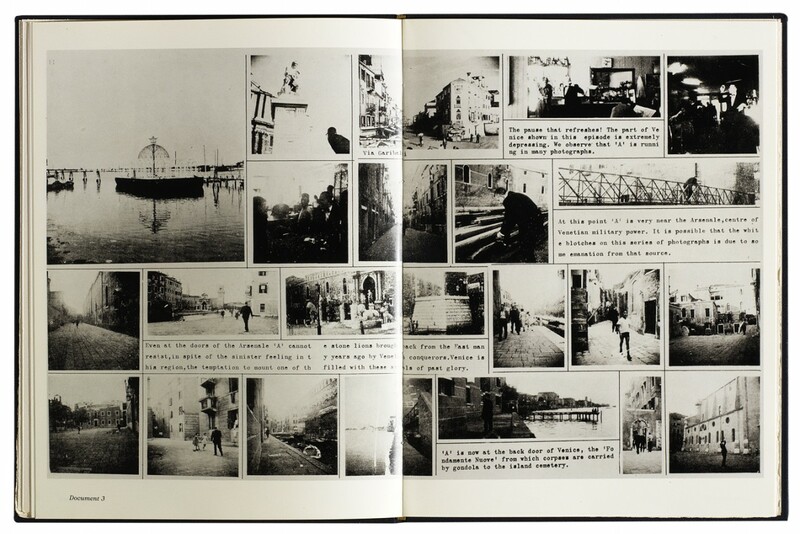 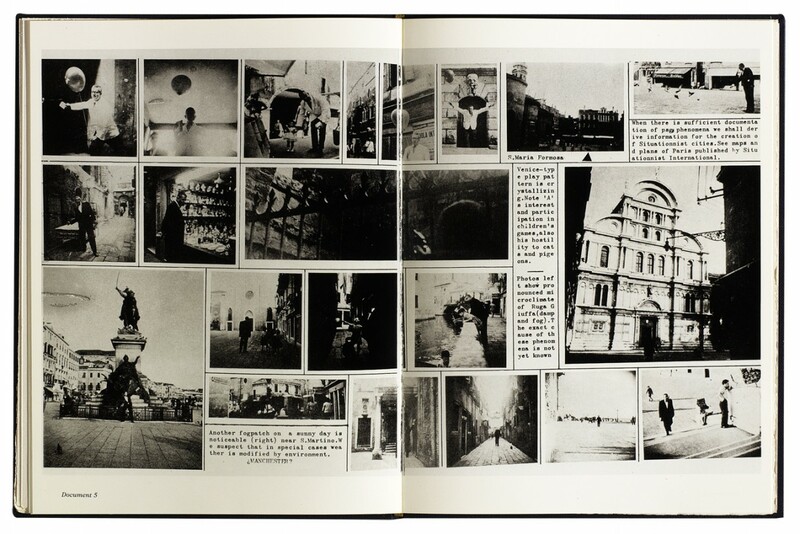 This first edition puts an end to The Leaning Tower of Venice’s forty-five years of invisibility. 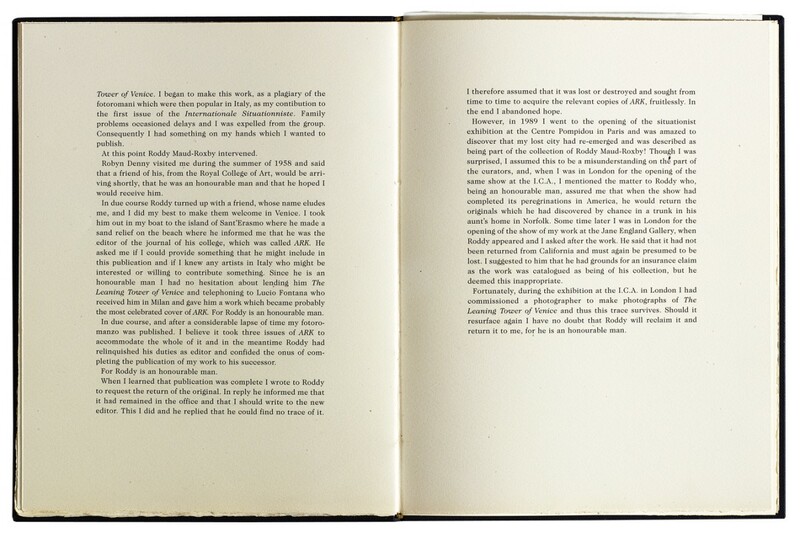 In the preface, Rumney details with lucidity and humor the tragic fate of his oeuvre. 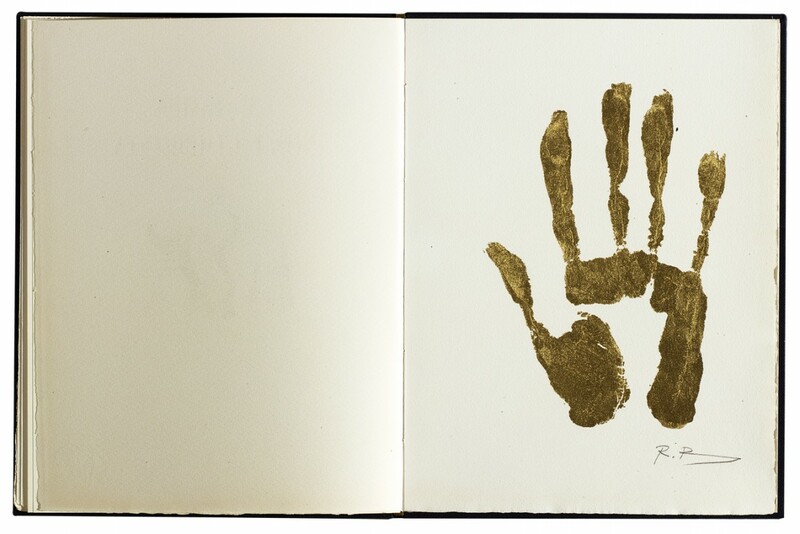 Eighteen head editions contain Rumney’s handprint printed in gold by the artist himself in Manosque, France. 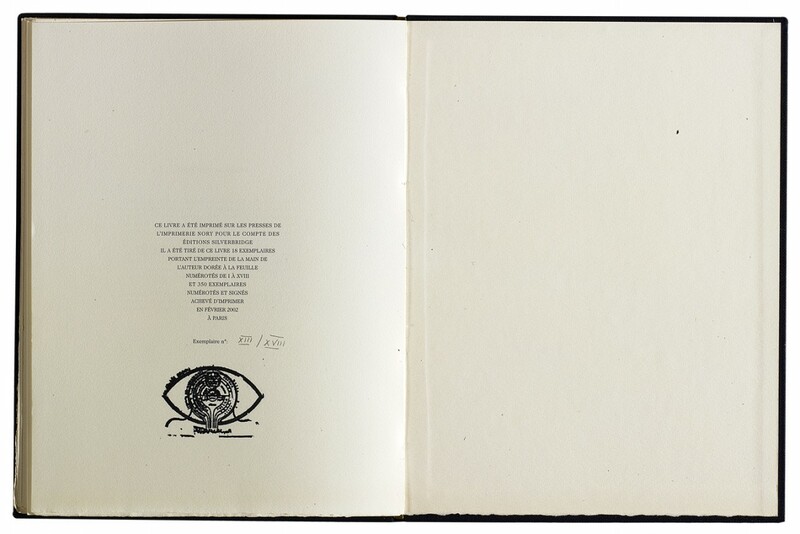 2002, Silverbridge/ by Juli Susin (Montreuil). 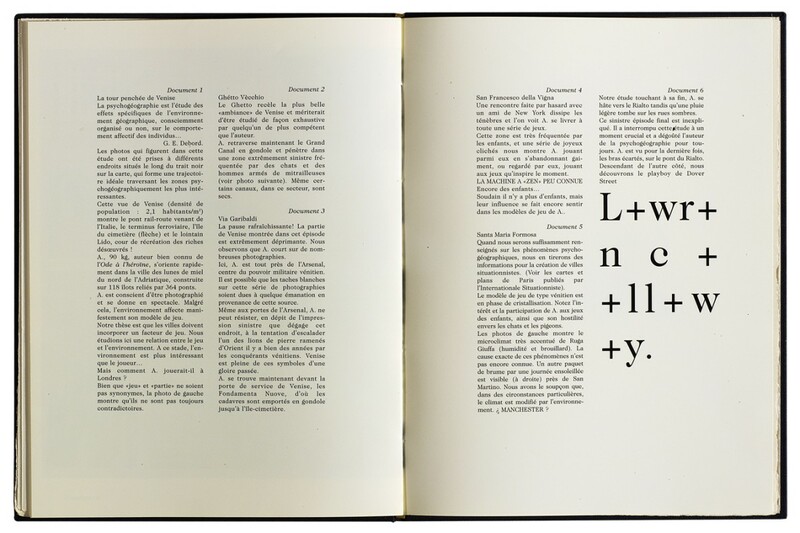 Text by Ralph Rumney. 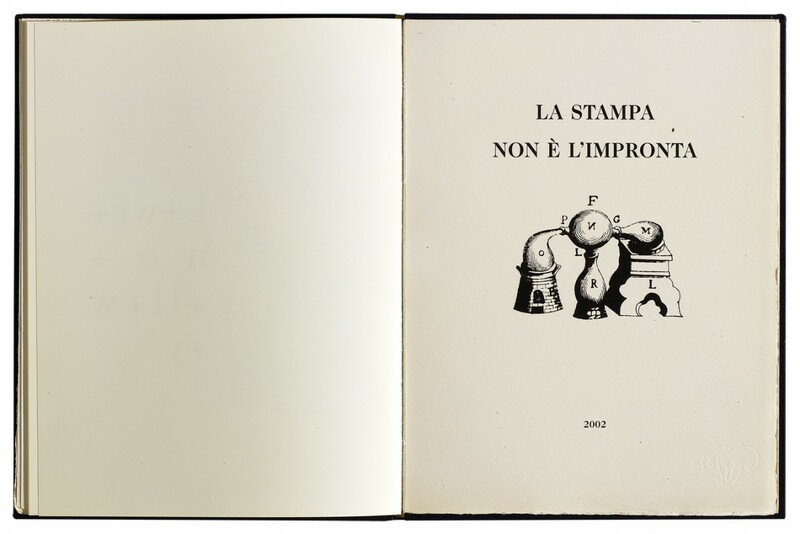 One in-4 volume (30 x 21 cm), 60 pages, perfect-bound, with canvas cover and gold-foil stamped title. 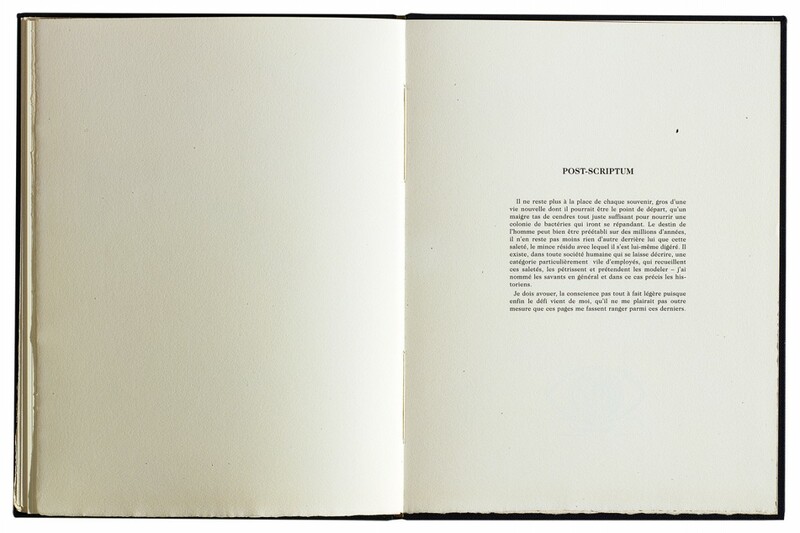 350 copies on Centaure paper, with screen-printed handprint. 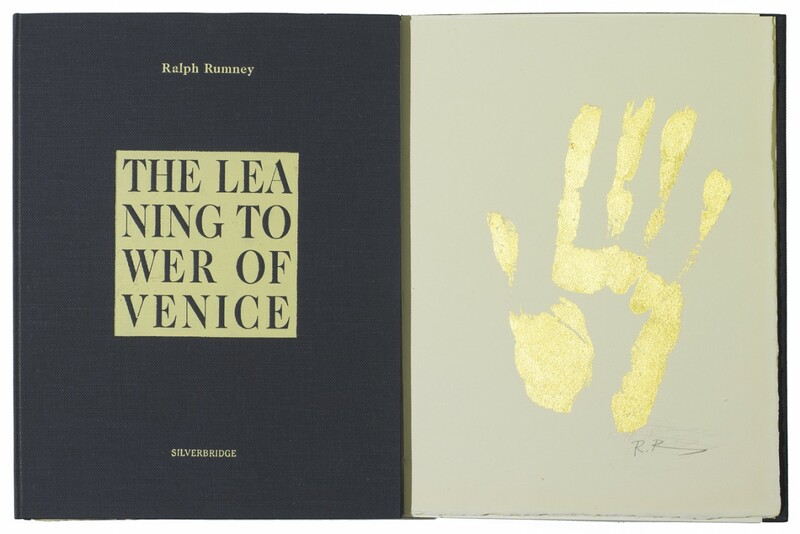 12 copies on Lana pur fil paper, with gold-foil handprint, all numbered with roman numerals I to XVIII, signed by the artist.